Drawing upon our representation of landlords and tenants enables us to bring a broader perspective to each transaction. In addition, through our national presence we often have prior experience with various parties and their counsel, which helps expedite the negotiation process and save our clients time and money. Our involvement in leasing transactions often begins at the initial structuring level and includes drafting and negotiating letters of intent and broker contracts. As lease reviews and negotiations continue we counsel our clients on both the business and legal issues involved, employing a practical approach and striving to achieve the most favorable resolution for our client. Our attorneys are actively involved with trade organizations such as the International Council of Shopping Centers (ICSC) and the National Association of Industrial and Office Properties (NAIOP). This involvement, together with the depth of exposure to all varieties of real estate transactions, enables us to understand our clients’ business objectives in relation to the current real estate market. We also monitor federal and state legislative and regulatory developments concerning retail, office, industrial leasing and development issues. Our retail leasing work has earned us a prominent national reputation. We regularly represent both publicly traded and privately held owners of regional malls, power centers, entertainment/lifestyle centers, community shopping centers, neighborhood shopping centers and mixed-use projects, often involving national retailers as tenants. We have experience in a wide variety of lease transactions, including build-to-suit leases, reverse build-to-suit leases, pad leases, major tenant leases and shop leases. We also have significant experience representing both developers and national and local retailers in ground lease transactions. We have represented landlords on numerous retail and mixed-use projects, many involving “big box,” major power center and neighborhood center tenants and various tenants commonly found in regional mall and entertainment/lifestyle centers. Since retail leasing often involves the development of a shopping center, we also have extensive experience negotiating corresponding reciprocal easement agreements, development agreements, maintenance agreements and other agreements common to such transactions. 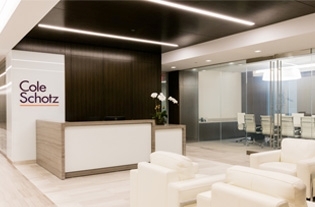 We have represented landlords and tenants in leasing transactions for a variety of space requirements throughout the country, from partial space in multi-tenant buildings to leases of entire buildings for a client’s headquarters. Our experience includes negotiation of triple-net leases to more complex leases contemplating specialized tenant fit-ups and associated rent credits or landlord contributions. We recognize that different approaches may be required for different tenants – an element that works for a publishing company may not be appropriate for a medical practice group. We also have counseled landlords in negotiating leasing and property management agreements with outside contractors. In addition to landlords and tenants, we also represent real estate brokerage companies and individual brokers with respect to various matters, including brokerage commission agreements. We have substantial experience representing national and regional developers and tenants in leasing transactions for warehouse, distribution, manufacturing and “flex” spaces and are keenly aware of issues that arise in industrial lease transactions, such as hazardous materials use and storage, and railroad use and access. 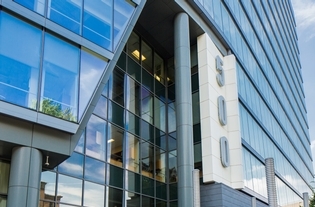 Represented the landlord in negotiating an extension of a 130,000-square-foot office lease with a national publishing company in the SoHo district of New York City. Represented the landlord in negotiating a 25,000 square foot office lease with a New York City based medical facility/provider in the Kips Bay district in Manhattan. Represented the landlord in negotiating a 30,000 square foot office lease with a major home improvement retailer in Midtown Manhattan. Represented the landlord in negotiating a 30,000 square foot office lease with a national law firm in Midtown Manhattan. Represented the landlord in negotiating a 10,000 square foot office lease with a major entertainment company in the SoHo district of New York City. Represented the landlord in negotiating a 15,000 square foot office lease with Bliss, a well-known day spa, in the SoHo district of New York City. Represented the landlord in negotiating a 17,500 square foot office lease with New York Film Academy in the SoHo district of New York City. Negotiated a 30,000 square foot office lease on behalf of the tenant, an investment advisory company, on Madison Avenue in Midtown Manhattan. 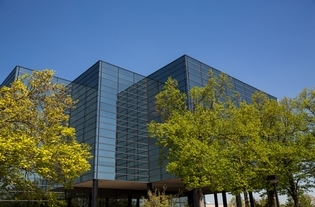 Represented the landlord in a lease of 175,000 square feet for an entire office building in Florham Park, NJ to be used as the headquarters for a publicly traded company. 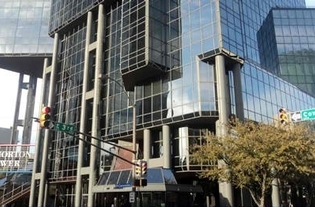 Negotiated an 800,000 square foot office lease on behalf of Blue Cross/Blue Shield of New Jersey, for its corporate headquarters in Newark, NJ. Negotiated a 200,000-square-foot office lease on behalf of the tenant, a publicly traded pharmaceutical company, in Montvale, NJ (nominated for “Deal of the Year” by the National Association of Industrial and Office Properties). Negotiated a 154,000-square-foot office lease on behalf of the tenant, a publicly traded healthcare company, for the relocation of its corporate headquarters in Somerset, NJ. Represented the landlord in negotiating an extension and expansion of a 160,000-square-foot industrial lease with Bio-Reference Laboratories in Elmwood Park, NJ. Negotiated a lease for the tenant in its relocation from New York to a 55,000-square-foot office/warehouse facility in Secaucus, NJ. Represented the landlord in negotiating a 25,000-square-foot retail lease with Prada for its flagship store in the SoHo district of New York City. Represented the landlord in negotiating a 25,000-square-foot retail lease with Forever 21 for its store in the SoHo district of New York City. 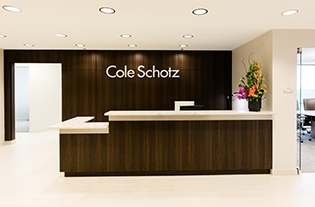 Jan Alan Lewis of Cole Schotz represented The Vitamin Shoppe in connection with the largest lease in the Meadowlands in 2017 – negotiating the lease for the 28,000 sq. ft. long-term commitment at 400 Plaza Drive in Secaucus. The omni-channel, specialty retailer and contract manufacturer of nutritional products will relocate back-office operations from North Bergen, N.J., to the Harmon Meadow property, which sits adjacent to the company’s headquarters. 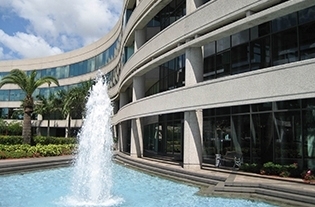 The physical and lifestyle improvements at 400 Plaza Drive include renovations to the building’s atrium lobby, mechanical system upgrades, the introduction of enhanced digital media, 24/7 security and access control, a new barista-style cafe, and building WiFi promoting tenant use for work and leisure. Located at the intersection of Route 3 and the New Jersey Turnpike, Harmon Meadow is a 4.4 million-square-foot, mixed-use complex offering office space, restaurants, retail, fitness, childcare, entertainment, and hotel and conference facilities – all within walking distance. Founded in 1977, The Vitamin Shoppe is the second-largest vitamins, minerals and supplements retailer with over $1 billion in annual revenue and close to 800 stores throughout the United States and Puerto Rico. “With this planned move, The Vitamin Shoppe will achieve its goal of a centralized, highly efficient headquarters and support operation in Secaucus,” Lewis said.